Mavericks featured veterans Chris Seymour and Sophie Hall for the first time this season, with a club debut for newcomer Dan Otchere. The first match would also be an opportunity for Josh Davies to play against his old club for the first time, and for Bea to play against her former university too! The scoring was lead by Captain Stephen Campbell and Bea Morris who put in a shift to hit 8 goals each! Sophie managed a commendable 5 goals on her first game of the season too. Whilst Bea earned players’ player nomination for her efforts, it was Naomi who took the MVP nomination from the opposition for her all round performance and a further 3 goals – which should be especially noted as she is struggling through with glandular fever at present! 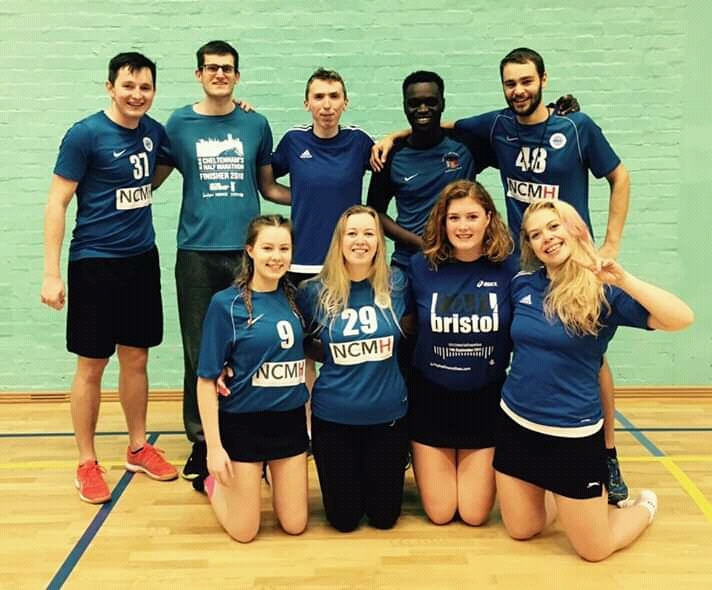 Dan started his korfball career strongly with a goal on his debut, with a goal from Chris and 2 more from Amber to finish the scoring. Mavericks secured the result in emphatic style, winning 28-5. Next up were Cardiff Uni 2, who stepped off the bus to play their game against Mavs. Once again, Captain Campbell lead the way with 6 goals which would ultimately take him to the top of the WNL scorers table, and deservedly took the MVP and players’ player awards. This time, Chris bagged 4, with Alec, Amber, and Bea getting 3 each. Naomi, Sophie, and Josh added a further 2 each to their tallies. A second victory to reward the journey, as the team finished 25-6.